March 2014 – Welcome to Your Resume Support Blog…..
Any military folks wanting to relocate to DC? Let Me Write It For You: Job-Winning Resumes and Career Services serves motivated job-seekers and career changers at all career levels and industries. Services include labor market research, outplacement, resume assessments, resume writing, job descriptions, reference checking and business writing—including training. Military, entrepreneurs, young professionals, international trained and seasoned subject matters experts are among Debra Ann’s roster of satisfied clients. See Debra Ann at http://www.facebook.com/letmewriteit4u or on linkedin at http://www.linkedin.com/in/letmewriteit4u. ANN O’LEARY, director of Too Small to Fail, an initiative aimed at closing the “word gap” between the children of the poor and children of wealthier parents. Debra Ann Matthews is a certified job and career transition coach who specialize writing job-winning resumes. She can be contacted via http://www.letmewriteitforyou.org and via linkedin at http://www.linkedin.com/in/letmewriteit4u. 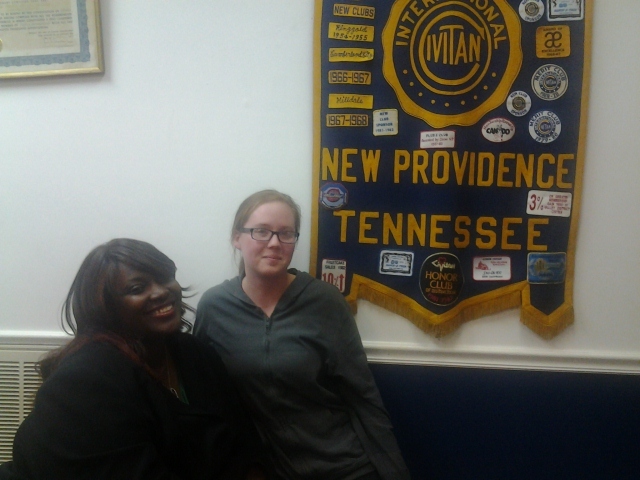 Had the pleasure of hearing Ms. Matthews speak at New Providence Civitan Club meeting this evening. It was a blessing to have her speak to us about professional image and career building. Would highly recommend and individual, business or organization that needed help with words or just to have a guest speaker talk about professionalism, resumes, building careers etc., to seek out Ms. Matthews for assistance! Thank you again for your time and services! Share with us, those things that get you excited about your job search and resume. Share with us on FaceBook @ www.facebook.com/letmewriteit4u. We hope that this article is helpful. Take a look at this video, “What Keeps Startup CEO Excited About His Job“. Are there still people out here who read the Sunday paper? Well for those of you who do, please see the Sunday Jobs section by Career Builder – Note my comments on Tips for Crafting a Catchy Cover Letter – The Share Success Stories area for a quote by ME !! Smiling … Now Ain’t That Good News ! !